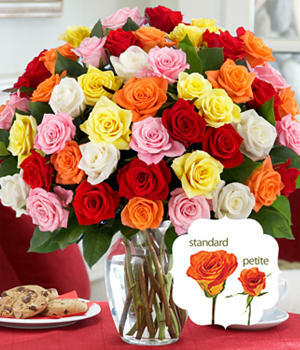 Four-dozen petite roses in assorted colors: this bouquet has to be seen to be believed. Petite roses are one of our latest finds. They're about 1/2 the size of traditional roses, but they pack the same punch... especially when you make it an even four dozen.